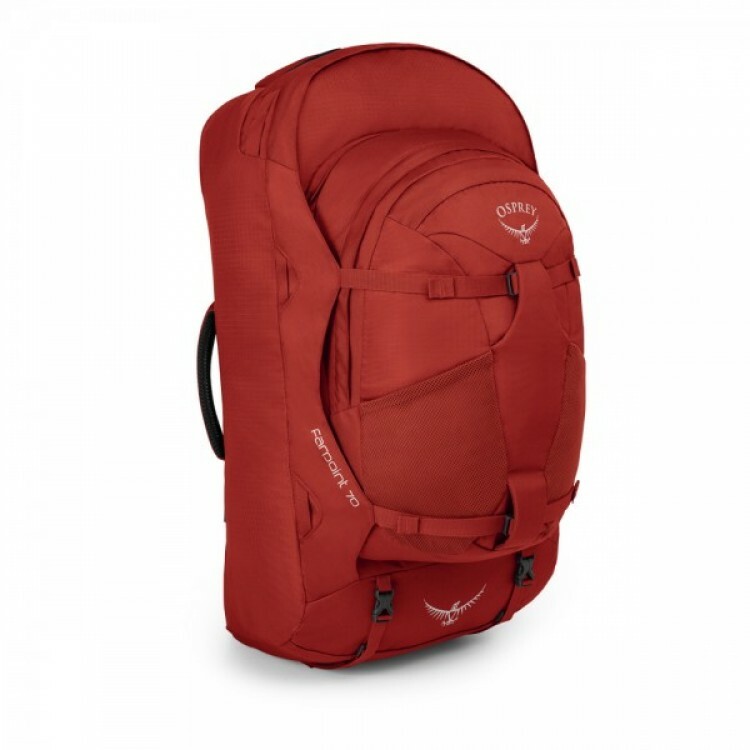 Travel bag Osprey Sojourn 60. The joy of adventure is not knowing what’s around the next turn. Cobbles? Sand? Stairs? You’d benefit from choosing between either rolling or carrying your bag. What you need is a travel bag with a ‘split-personality’. Look no further than the Sojourn Series. The foundation relies on our unique injection molded HighRoad™ chassis, consisting of an ABS polymer plastic for durability and using polyurethane wheels that eat tarmac for breakfast. For comfort and control, a retractable ErgoGrip™ handle ensures that wherever you go, your bag will follow. 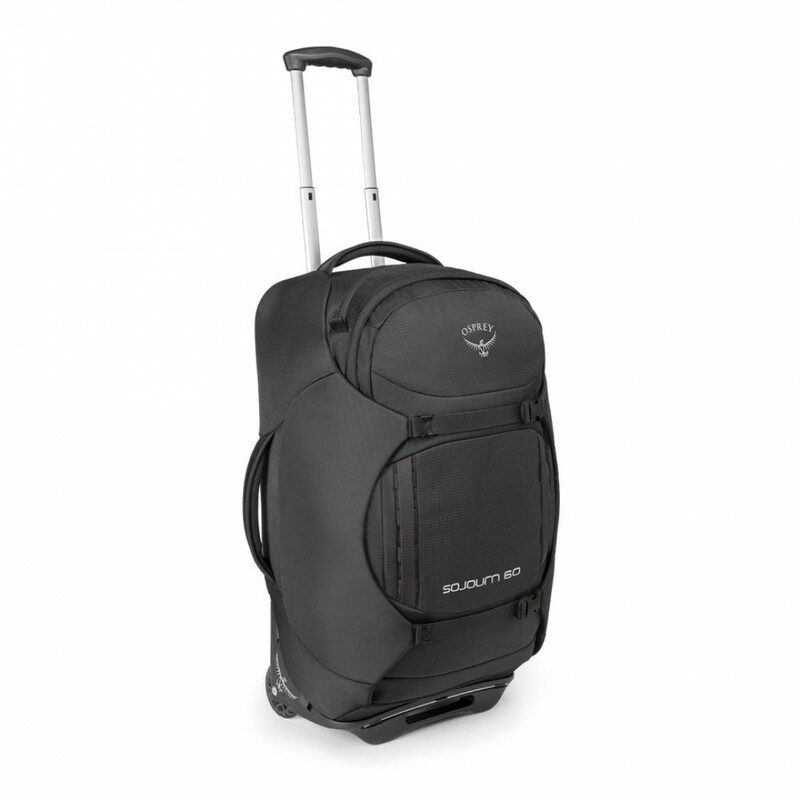 The Sojourn also excels where wheels won’t go, transforming in seconds to a fully operational backpack. Whilst being carried the weight disappears through a padded spacer mesh lumbar and hipbelt. A fully adjustable harness accommodates any size & shape and the mesh-ventilated backsystem delivers the warm weather comfort you’d expect from Osprey. Inside the bag you will discover a multitude of organization options; including a liquid/accessory pocket and dual mesh pockets to separate dirty clothes and shoes. The internal compression straps allow you to fully maximise capacity whilst securing your clothes and limiting creases. To ensure you and bag aren’t separated for long we’ve included a built-in retractable ID card. For the ultimate in gear protection, the Sojourn spreads it’s foam StraightJacket™ side-wings around the bag to compress and protect your belongings. These wings cleverly wrap from one side of the bag to the other when you’re hauling less gear than usual. What are you waiting for? Time to join the prestigious ‘SoJourn Owners Club’.